It’s going to be GOALS GALORE! Unibet Sports is dishing out a special Premier League Free Bet Bonus for this weekend’s clash at Stamford Bridge: Chelsea v Arsenal. You’re in luck this weekend! You don’t have to pick which side to back in the mouth-watering Chelsea v Arsenal match, because Unibet Sports has taken care of that with its enticing Premier League Money Offer! For every goal that is scored by your backed side during the encounter at Stamford Bridge this Saturday, you’ll receive €5 Free Bet with the Premier League Free Bet Bonus. 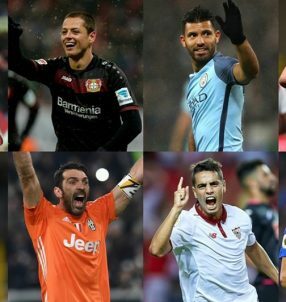 No matter if you side wins, losses or draws, so long as they score, you’ll be a winner! And the more goals they find the back of the net, the greater your rewards will be in Premier League Free Bets. All you have to do is make a pre-match wager (1X2) of €20 (or more) on the Chelsea v Arsenal match before the game takes place (13:30 CET, February 4), so make sure to join ASAP and place your bets to collect the Premier League Free Bets. EXTRA INFO: it’s worth noting that over the last five matches the Blues and the Gunners have bagged an impressive 28 goals between them, which strongly suggests that this weekend’s clash at Stamford Bridge should see both of the sides find the back of the net on multiple occasions. Use Unibet’s Premier League Free Bet Bonus and grab yourself €5 Free Bet every time your backed side scores a goal – the sky is the limit! Chelsea’s fearsome striker Diego Costa already has 15 goals to his name in 21 Premier League appearances, while Arsenal’s attacking threat Alexis Sanchez has bagged the same amount of goal in 22 outings, so we’re expecting them to feature on the scoresheet this weekend. Chelsea top the Premier League table with 56 points, while Arsenal find themselves in third spot nine points behind. The Gunners could close the gap to six points if they manage to seal a victory at the Blues’ home ground, but we’re sceptical of them being able to pull that off. But we believe this could a goal galore match, so make sure to take advantage of the Premier League Free Bet Offer. Forget about win, lose or draw, because this weekend all that matters is GOALS!!! 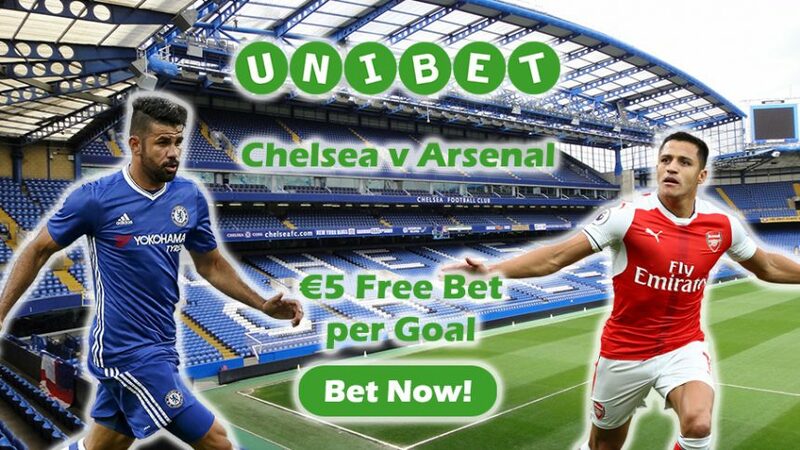 Join Unibet Sports and place a bet on Chelsea v Arsenal; for every single goal that your preferred side bags in the oppositions’ net, you’ll get €5 Premier League Free Bet! Back either side with Premier League Free Bet Bonus!